2Write is skilled at web writing and design that holds people’s attention.Your website is the front door to your organisation. Visitors will stay, on average, 30 seconds unless they find what they’re looking for. We set up websites and blogs that are concise, attractive and easy to navigate. Our 2Write, Dili Dally and O’Kiwi websites, using WordPress templates, are good examples of what can be achieved on a modest budget without formal technical know-how. Then all you need are some basic editing skills to run your site, which we can teach you. And more good news – hosting fees are negligible. We have managed and written content for several eye-catching, popular websites, including LT McGuinness, Marist St Pats rugby club and Karo Data Management. 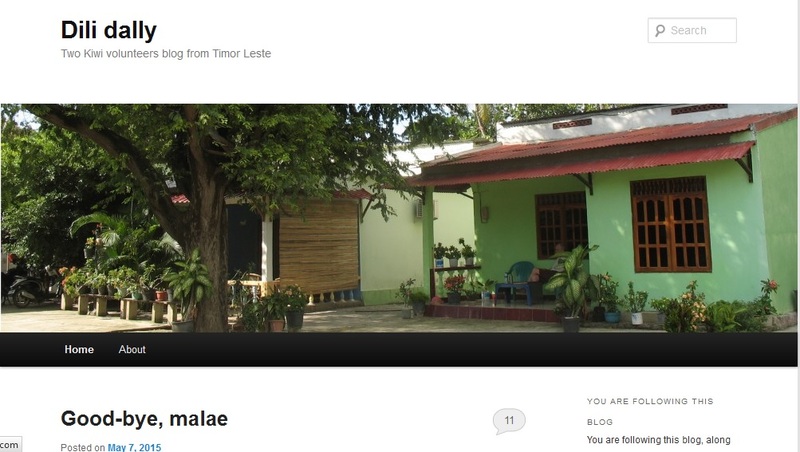 Dili Dally, a blog about our lives as volunteers in Timor-Leste, continues to attract readers nearly four years after our return and has had over 66,000 views to date. When Wellington construction company LT McGuinness redesigned their website, Pat wrote the content profiling the company and its key projects. He now regularly updates the site. Pip oversaw the redesign of the Karo Data Management website with the help of a specialist web designer. She rewrote all the site content including information and advice for PHOs, health practices, Maori, Pacific and community health providers. Pat worked with web design specialists to come up with the striking design. He managed the site, considered one of the best in Wellington sport, and sent out a regular club e-newsletter to 1300 subscribers. Other club members took it over when he went to Timor. Pat set up O’Kiwi, a website for Kiwis with a Celtic connection. He managed it, encouraged guest contributors, and posted regular columns on politics, sport, heritage, travel and books from the point of view of a fifth-generation Irish New Zealander.